Let’s take it back to 1988. Think fanny packs, parachute pants and boom boxes…and Ron Clark at a small desk in the #5 engine room hoping to finish the last chapter of his business plan before the siren went off. Ron has always served others, no matter where life took him. He started NFPT out of the same service minded mentality. He saw a need for something different, something that applied to him then and still applies to people who want to be trainers today. He wanted to help people put their passion for fitness to work. He wanted to help people who were starting off in the fitness training business, like he was. It all started when his passion for training turned into intrigue for the human body and how it works. For him, the natural next step beyond training himself was to teach others to train too, to get to their own personal goals. He knew what it took because he saw the body in terms of systems and functions that could be maximized for results when trained properly. But he couldn’t find a certification that suited the foundational and practical needs that he, at that time, had been looking for. He wanted more than the paper certificate, he wanted his clients to get great results. First, he needed to be qualified. 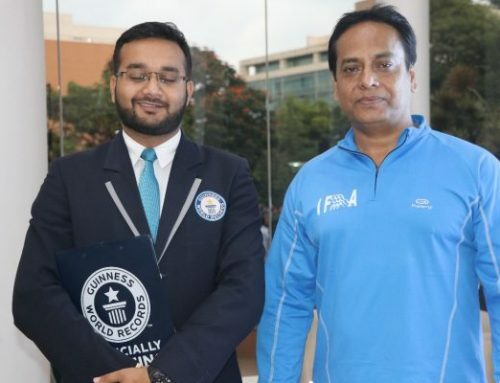 He needed a certification as validation of his skill, and he got one. Getting certified put his entrepreneurial spirit into overdrive. 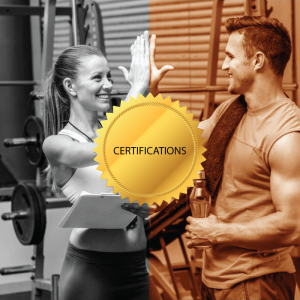 He decided that it was time for the certification industry to offer a credential for the beginner, one that covered the fundamentals of the body and how to train it. He stepped out of the clinical approach that was being taken by most certification companies at that time. And NFPT was born. 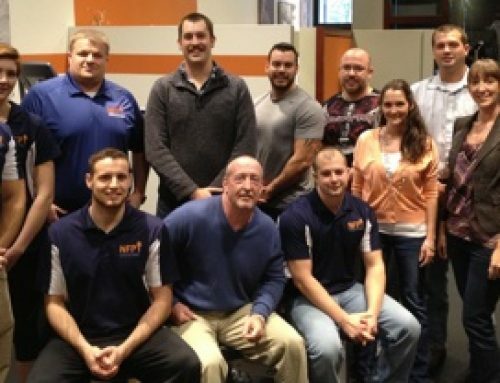 NFPT positioned itself to help passionate fitness-minded people; people who started on the basis of their passion but needed the extra boost on the exercise science side. Building a day-to-day training resource that would help garner an understanding of why the body responds the way that it does to training, and how to do it better, was where NFPT started. And then, it evolved into helping others launch their own personal trainer careers with a certification that validates their skill. Ron knew that, like him, most trainers are working with beginners and sedentary clients (generally, those who didn’t understand how the body worked at its basic level). He developed the NFPT certification program with his back-to-basics theme: “you need to know how to add and subtract before you multiply and divide”. Now rewind to 1979, Ron leaves the Marine Corps, sooner than he had hoped due to a gunshot wound to the arm. As part of rehab, he was training much more frequently and it had become more a part of his life than ever. He had gone from a physically fit Marine to an NPC, Mr. Purdue and AAU placing bodybuilder – you could say he was addicted to training. But, keeping in line with his serving mentality, he settled into his role with the Lafayette Fire Department. His time as a Fireman (over 20 years before retiring) was more rewarding for him than it was risky, and he had the benefit of every other day off to pursue his personal training career. His true passion was teaching people how to “eat right and exercise smart” (back in those days, Ron signed off all of his letters and articles with his ‘eat right and exercise smart’ tag). It was in his ‘spare’ time that he opened up his first training studio, “The Fitness Clinic”, and started writing his business plan for NFPT at a small desk in the back of the firehouse. 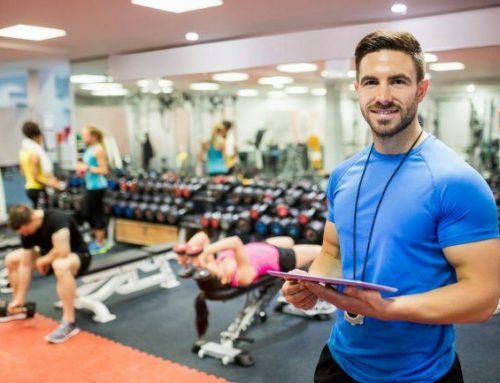 And today, 27 years later, National Federation of Professional Trainers is still helping fitness enthusiasts get a foothold in the personal training industry, certifying trainers and launching careers! 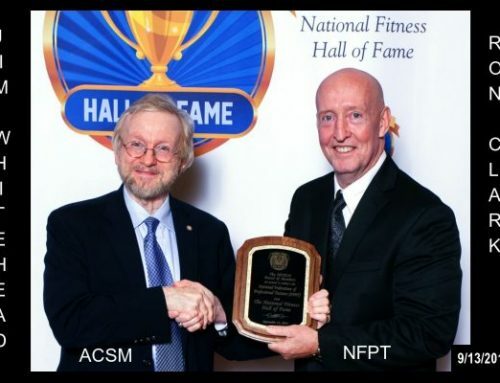 For its achievements and professional longevity in the fitness industry, NFPT is being inducted into the National Fitness Hall of Fame. NFHOF was founded in 2004 to recognize and remember the lifelong efforts of individuals and, more recently, organizations, promoting health and fitness. The NFHOF mission is “To preserve the past while promoting the future of fitness”. The NFHOF motto is to “Educate. Motivate. Inspire.” Ron Clark built the NFPT organization with these same principles in mind: educate, motivate and inspire. His genuine concern for the welfare of others, and professionalism that serves full-time, permeates through the NFPT organization, the NFPT staff and family, and the NFPT family of trainers. These are the principles that have earned National Federation of Professional Trainers an organizational spot in the National Fitness Hall of Fame. NFPT is blessed by this honor and is especially thankful to its family of fitness trainers around the world. NFPT would like to thank Mr. John Figarelli, the NFHOF Board and fellows for this celebrated induction to the National Fitness Hall of Fame.